Have you ever been out camping or even on a picnic and needed some logs or anything that could get a fire started. Then someone with a pocket knife takes it out and tries cutting some branches off a small tree. Evidently he takes forever and the tree bark he is able to cut up can’t really light a fire anyway. That is just the best case scenario. If you are a true out doors person you know that sometimes you need a sharp tool to be able to help you in any endeavor you may encounter out there even for safety reasons. Logically you are probably not going to be able to take your full landscaping kit with you on that hunting or fishing trip. That is why you need tools that are lightweight and can be easily stored so that you can carry it around without it being something that slows you down. That is especially true for hunters that sometimes need to be on the run. With the Hooyman 655226 5 Foot Extendable Tree Saw you can have a heavy duty cutting tool that is exactly the size of a ruler. So you can carry it around in basically any camping backpack. However it doesn't stay at 12 inches long only. 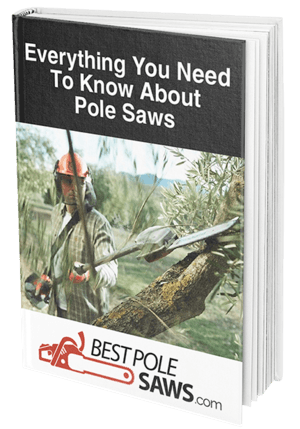 It has a couple of pole extensions that can be attached to the end of the saw easily and have a pole saw that can extend up to 5 feet. This will allow you to reach the tougher branches for trees that can be getting in the way at some point, but also reach essentially the good wood to be able to start campfires easily. For hunting it allows you to build your base or hiding spot better camouflaged within the trees and be prepared for any problems you may face. With a MegaBite XP 4-edge tooth design you can bet it can cut through some of the toughest trees out there. If you keep the blade sharp it has a very long life span. It allows you to make clean cuts even extending it to 5 feet. It also features a lock back blade which is perfect for when you want to change the extension in mid cut. With this feature you also don’t have to worry about the blade being wobbly. You can make firm cuts every time no matter what distance you are cutting from. It is a perfect fit for cutting branches to make shooting lanes more visible. I was really curious to see what other people’s experience had been with the product since I was only able to test it out in a more urban environment. There were many stories about people who actually used it for hutting and the reviews are mostly positive. Especially when you are setting out to hunt in a new location that you had scouted through google Earth or a friend had told you about. In both cases it is very possible that the pictures or a friends memories are not updated to what the scene is going to be like when you get there. People said that they scouted a site that they thought was perfect only to find out that when they actually got there it was filled with tree branches that messed up their shots. Since they were not carrying a tool like this they tried to improve their vision by trying to cut into branches with either their hands or shorter knives. Those trips typically don’t end well. This might actually be one of those products you never knew you really needed until you have it. Sometimes we are just so accustomed to doing things the old fashion way. Of course there are some naysayers out there about this product. One of the biggest concerns is that the saw becomes wobbly when extended. This did not happen to me when I tried it out. Since I have used a multiple amount of tools with extensions I can’t stress the importance of having a way to tighten up the extension with a brace or anything possible. With the Hooyman 655226 5 Foot Extendable Tree Saw I could fasten up the extensions well so that they didn’t become wobbly. However the plastic braces that come as part of the locking system can become loose as time goes on. Making it not that reliable anymore. However this is after many years of use. If this happens at the beginning you either received a faulty product or are not fastening the straps correctly. The blade was also an issue for some people. That really depends on what you use it on and how you use it. I agree that the product could be way better of with a better blade, but you can always update your blade. However at this price the blade will probably cost more than the whole product. This is a product that has a very specific market. And the people that make up that market are very demanding when it comes to their tools no doubt. So the fact that the Hooyman 655226 5 Foot Extendable Tree Saw has a little trouble with rough handling that can take a couple of points of the board. However when we are talking about a portable product with all the multiple features that it has at that price I think you can definitely find a great use to it. It definitely cuts better than a pocket knife and that should be the product that it should be compared to. Evidently it will get the short end of the stick against most pole saws out there, but that is not its main purpose. Rather the pole saw feature is an add on for the Hooyman 655226 5 Foot Extendable Tree Saw. Therefore to me it is a product that serves its purpose very well and exceeds many expectations. Of course that depends on how you want to look at it! If you are uncertain about the Hooyman 655226 5 Foot Extendable Tree Saw and want to make your own assessment visit amazon. There you will find more videos and pictures on the Hooyman 655226 5 Foot Extendable Tree Saw as well as customer reviews and an FAQ section!